A Marshall DSL and a Trainwreck Express clone have been the stable workhorse test amps for Deacci guitar pickups for many years. Recently, it became clear that something different was needed to record the sound sample bank for our website. We also needed that something in a hurry. 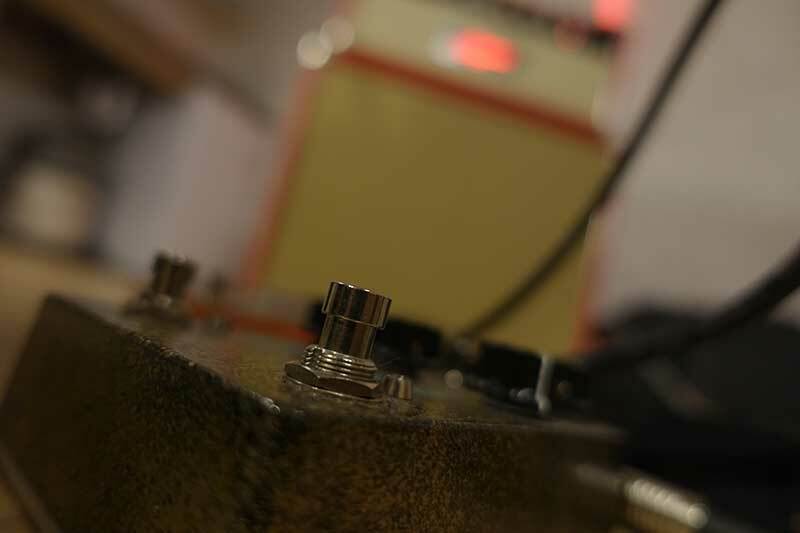 The task was to make quality, clean, crunch, and overdrive recordings in every switch position, for every pickup set, on exactly the same gear, and in the exact same environment. We needed a rig that would help us record the subtle differences between some sets. 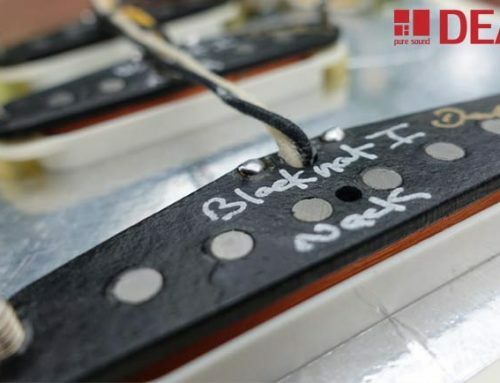 It also had to cover a wide range of pickup output from strat single coils, and PAF style Pure Vintage humbuckers to the insane output of some of our still in development 7 string humbuckers . Quite a tall order to ask from one amp. So it was a call to Cyril Ryan of Audiotronix in Galway that ended the amp search almost as quickly as it started. Cyril’s understanding of the task we had ahead, and his confidence-inspiring knowledge of his craft meant the choice was made quite simple. After a long and interesting chat we agreed that a clean amp with a ton of headroom was going to be the best solution. 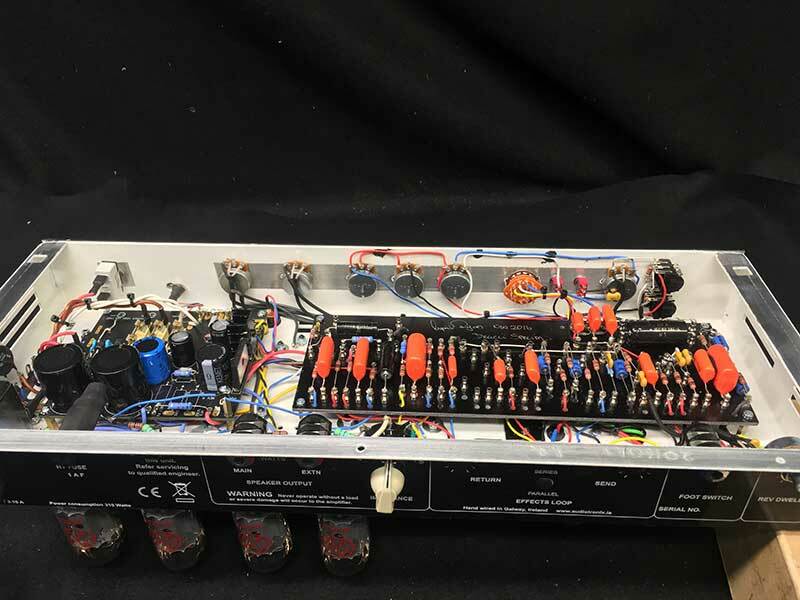 While many of our pickups would never be played through such an amplifier, the clean headroom and bandwidth of this amp meant that we could capture and record the true sound quality of each pickup. 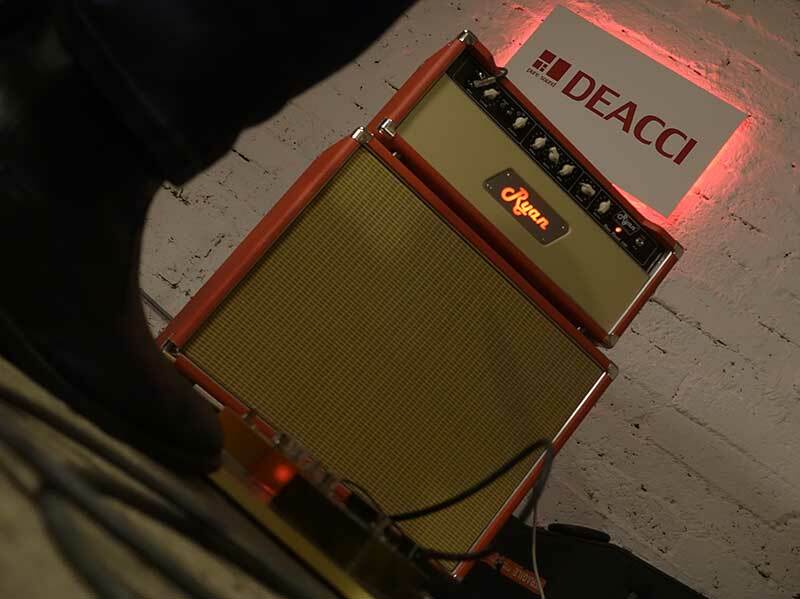 So which amp did we go for….. A hand wired 100w Blues Reverb of clean valve 6L6 headroom to be precise. So our only problem left was what do you do for the crunch and overdrive samples with a 100w clean amp? After discussion with Cyril, we decided to look for a Tubescreamer and a RAT, and this is where we re-discovered Moose Electronics in Dublin. We have over 27 pickup set swaps and 350 to 700 sound samples, depending on how many mics we end up using. But after spending some time playing the new rig, I am sure it is going to fly by. To say that every piece of this jigsaw from Moose Electronics and Ryan Amps oozes quality is an understatement. To anyone who knows me, a clean amp with any number of pedals couldn’t be further from what I would choose for my own personal use, but even with the honeymoon period in full swing, I think this new rig might have changed my mind on that too. Anyone who has acquired an amp from Cyril has probably been through the initial moment when he switches the amp on for you, military grade components and additional electronic wizardry of his own mean close to zero noise with this amp, but the real fun starts when you hit t he first note, words are still failing me. Once we dialed in the Sundrive and the Battlehammer, I am confident we now have a rig that will deliver representative recordings of our pickups. Sincere tanks to Cyril Ryan of Audiotronix, and Cain Moose of Moose Electronics for their support and enthusiasm. Both pulled out all stops to get their respective masterpieces to me in a very short timescale. It wont be forgotten! So what is the specification of amp we ended up with? I asked Cyril to put some thoughts down to describe his recommendation and I will finish this post with Cyril’s own words. On a final note, I also had the privilege of playing a prototype of Cyril’s new two channel, the Selkie 40 . Due for release in December 2016, it has the cleans of the Reverb but it can also morph into the drive tones of his custom 22. Through a single 12″ speaker it is an amazing amplifier and probably the perfect amp if you want to cover everything in one easy to handle package. 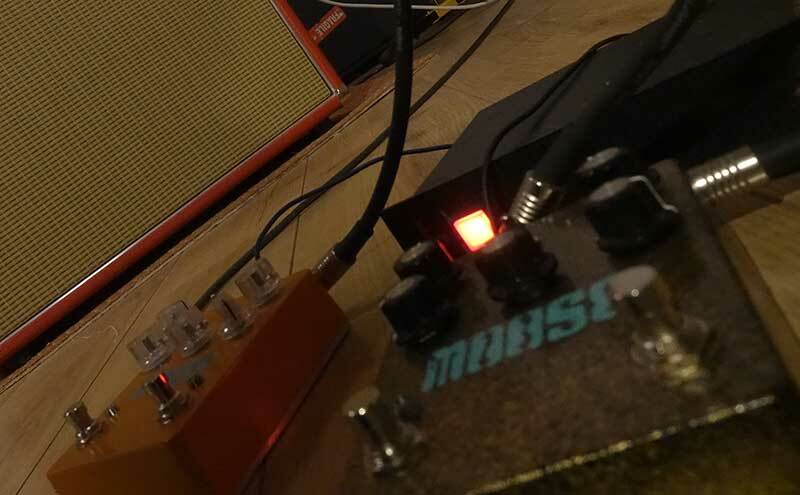 Moose is also soon to showcase his creations on a new website, the new pedals will be silk screen printed, however I am pleased to have one of the ones he made before he takes over the world. On Novenber 13th (11 days ago….) 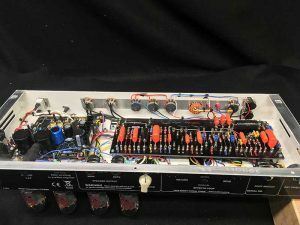 I was contacted by Declan Larkin (Deacci Pickups) looking for advice …and possibly an amplifier system for demonstrating his range of pickups. High preamp voltages for maximum headroom. Precision power supply with long life high voltage power capacitors. 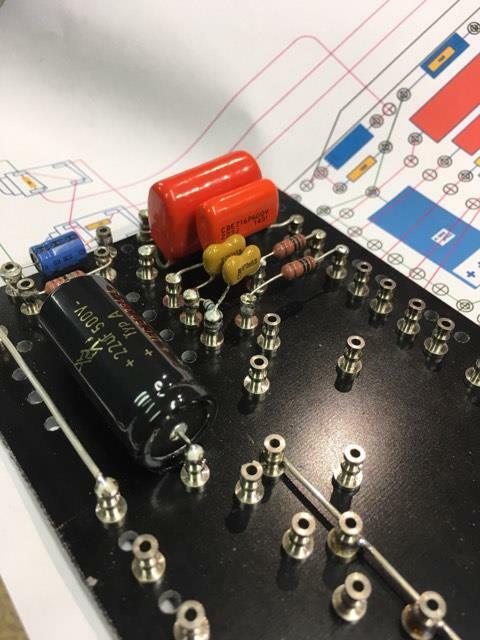 High voltage ‘Ultra Fast Recovery’ rectifier diodes with snubber capacitors for low noise power. Elevated AC heater supply for all other valves to reduce hum. Capacitor earth lift resistor avoids earth loops. EMI screening and RF bypass caps. Precision mains input filter module. Industry standard Bass-Middle-Treble controls based on the best clean platform designs. EQ bypass to eliminate the tone controls from the signal path. Contour control (4 position bass roll-off switch) to compensate for room acoustics or speaker characteristics. 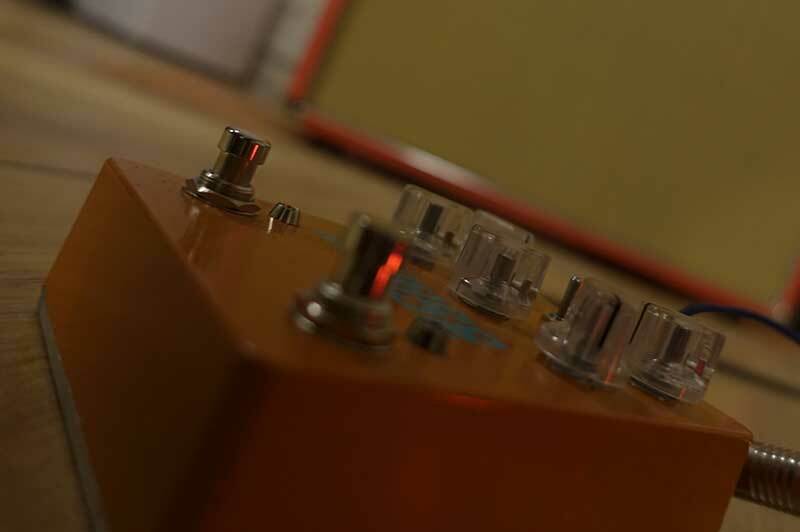 Dwell control to vary the drive to the reverb system (spring reverb systems only work well within a very narrow band of voltage/power input so a drive/dwell control is critical to keep the drive within optimal range. No single speaker can reproduce the full tonal palate from a guitar. Through exhaustive experimentation I have found that ‘mis-matched’ speakers in a closed back cabinet work very well. Speakers are 1 X Celestion Creamback 75 (forward midrange and tight bass) and 1 X Jensen Blackbird Alnico 100 (sweet bass and 3D high end). System required within 11 days…for recording project. Luckily, most components, chassis and transformers were in stock ….just the time to build it. 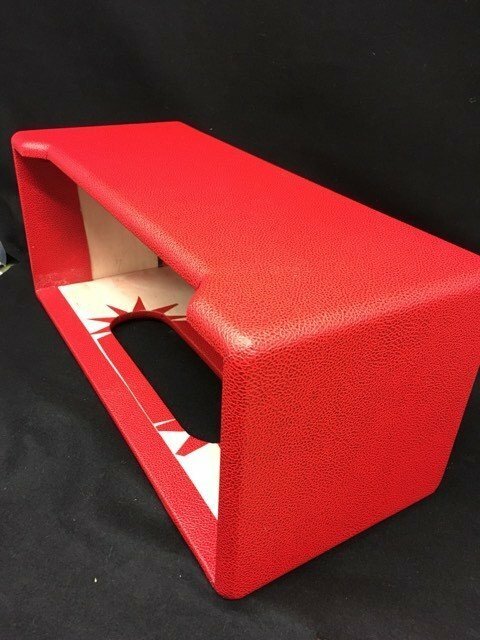 Red tolex in keeping with the Deacci colours.